An extraordinary new film for the 21st century about the unstoppable power of Eucharistic Adoration. Pope John Paul II, Francis Cardinal George, Mother Teresa, priests, and lay people from around the world testify how prayer before Christ in the Blessed Sacrament dramatically transformed their lives and how it can renew the world and bring about a new Pentecost. "A treasure trove offering the finest jewels in prayer, meditation, Church teaching and the wisdom of the Fathers, all focused on Our Lord Jesus Christ present in the Holy Eucharist. This book offers so much to help us in the great revival of Eucharistic Adoration spreading through the Church." "This beautiful book of prayers and meditations fills a real need experienced by hundreds of thousands whose spiritual lives are being prayerfully enriched by Christ present in the Eucharist." "A treasure-chest of the Church's prayer and devotion to the Eucharistic Lord! 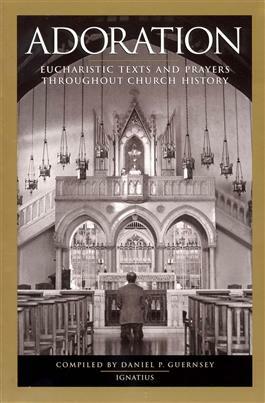 This book will serve as a valuable resource for one's personal prayer and reflection before the Most Blessed Sacrament."